RE has unveiled Continental GT 650 on running motorcycle show at EICMA. It is featured with new bodywork with dual cradle frame, clip-on handlebars, and classic styled instrument. 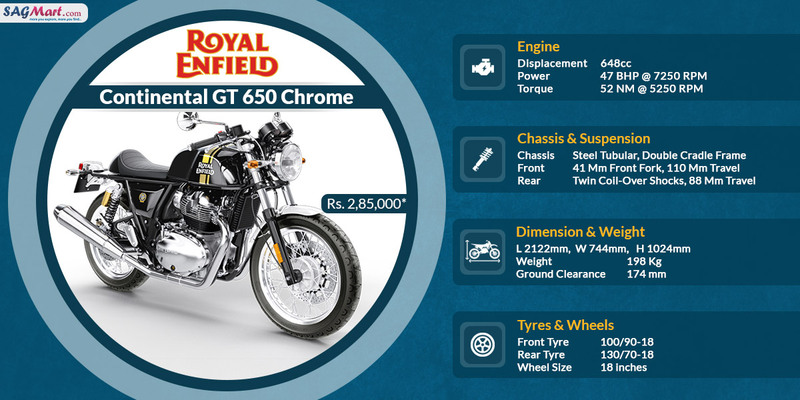 RE Continental GT 650 is equipped with a 648cc single overhead cam parallel twin engine. Moreover, the bike is loaded with 18 inches multi-spoke wheel front and rear disc with ABS.